You Are Here: Home → The 10 Most Popular European Cars in the U.S. Although they stopped making the original Beetle in 2003, Volkswagen came out with a new version in 1998. Although production ceased in 2011, we included it in the list since many people still drive it is still popular. The New Beetle has many design similarities with the original VW Beetle: large round tail lights, sloping headlamps, separate wings, and a high rounded roofline. How was it different and better than the original? Unlike the original Beetle, the New Beetle has its engine in the front with luggage storage in the back. 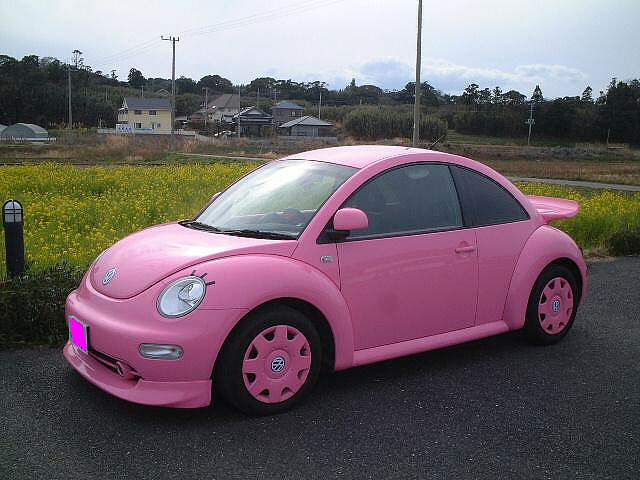 Many special editions have been released, such as the Malibu Barbie New Beetle, that have been a huge hit in the U.S. United States models include: The Turbo S model had a 1.8 L turbo with 180 hp, sport suspension, six-speed manual transmission, aluminum interior trim, and bigger wheels and tires. All 1.8L Turbo and Turbo S inline-four models were equipped with a retractable rear spoiler which was not available on the 1.9 L TDI inline-4, 2.0 L inline-four and 2.5 L inline-five models. For the 2006 model, the exterior was slightly redesigned with more angular bumpers and wheel wells, and these models were fitted with the 2.5 L 5-cylinder engine with 150 hp.